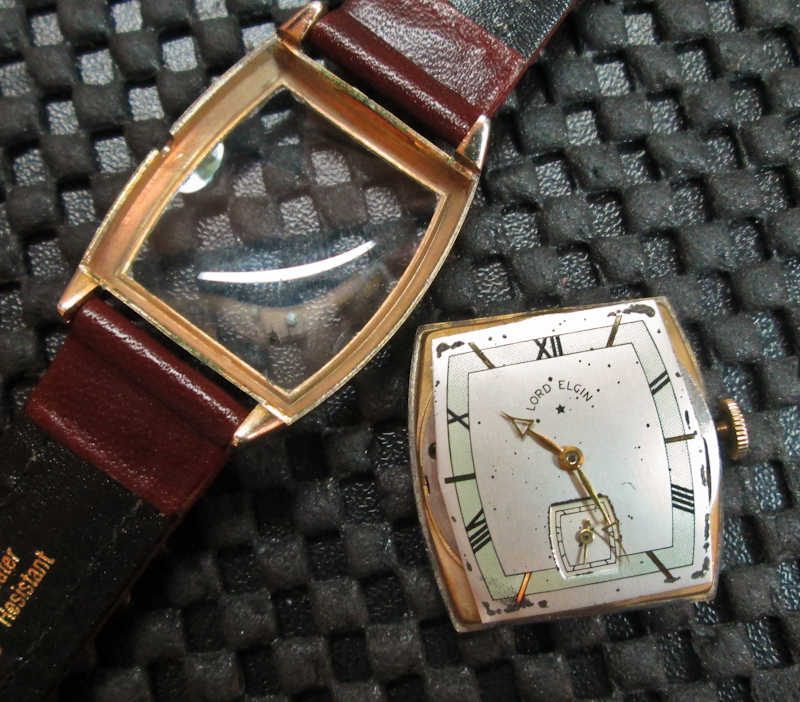 A nice two-tone dial and one of Elgin’s first post-WWII watches. 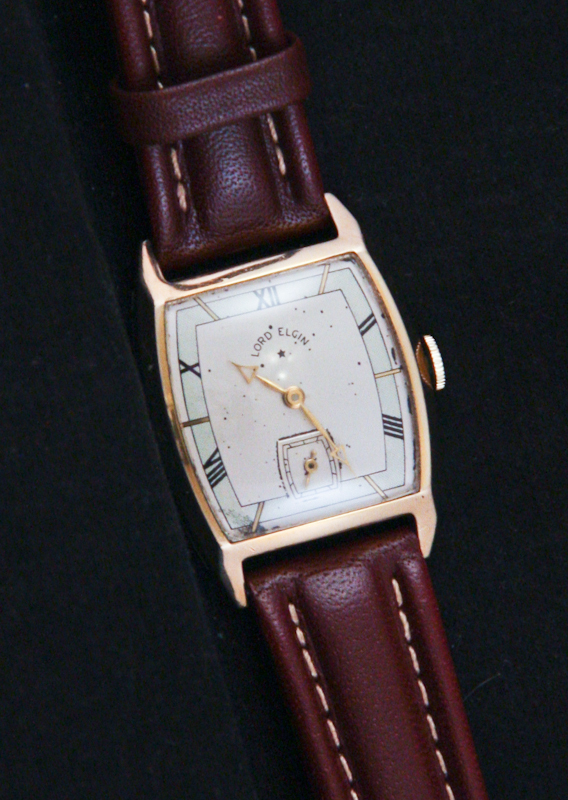 A rather subtle and attractive Lord Elgin. 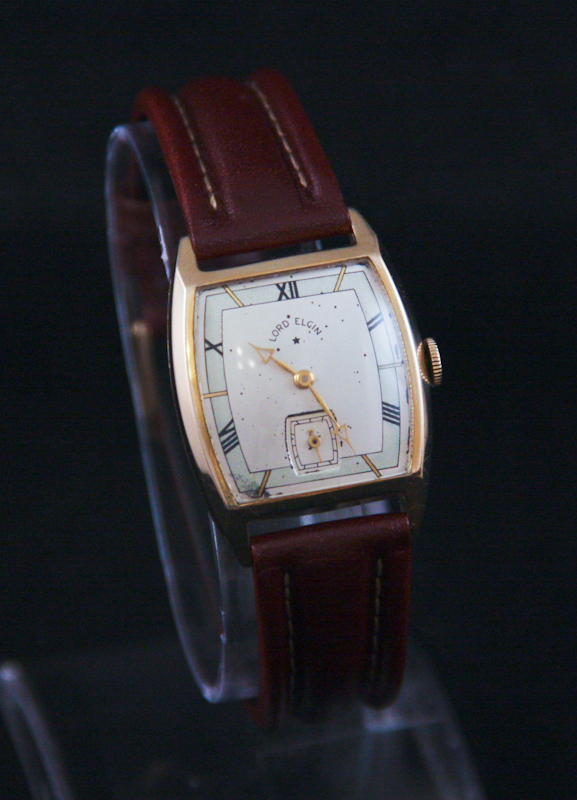 This model dates to 1946, making it a relatively less common watch — one of the first of Elgin’s renewed consumer production after World War II. (Production during the war was diverted to war industry, not consumer goods.) With unusual hands and a two tone colored dial, this is a nice looking and distinctive watch. 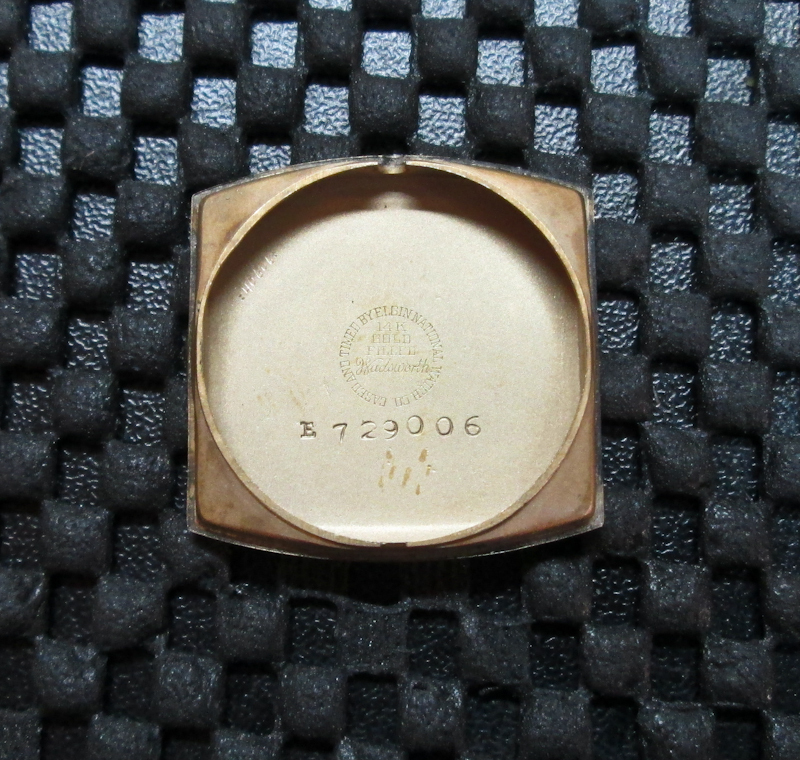 The case of this watch was manufactured for Elgin by Wadsworth. It is made of 14K yellow gold filled metal (bezel and back) and is in Excellent shape with brassing and no wear through. The dial is one of Elgin’s more unusual designs, with the two tone face and the pale green hours track. The dial of this watch is all original and shows some spotting due to age. The hands are also unusual, this shape of hand was rarely used by Elgin. 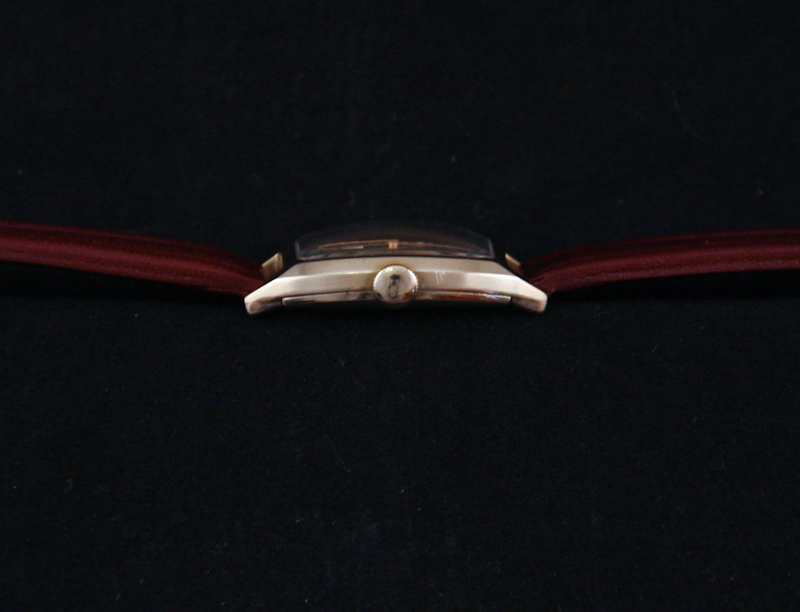 The hands on this watch are in Excellent condition, as is the crystal. 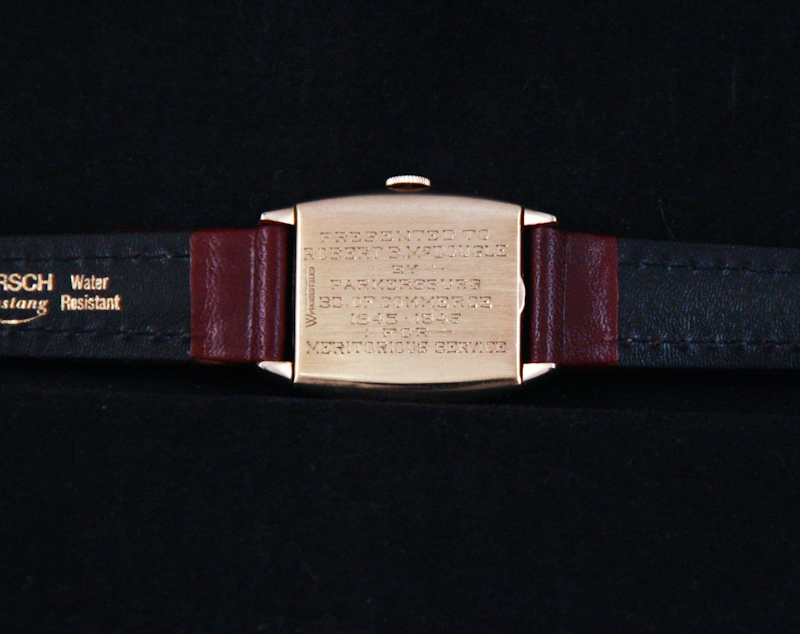 Note that this is a presentation watch and the case back is engraved. 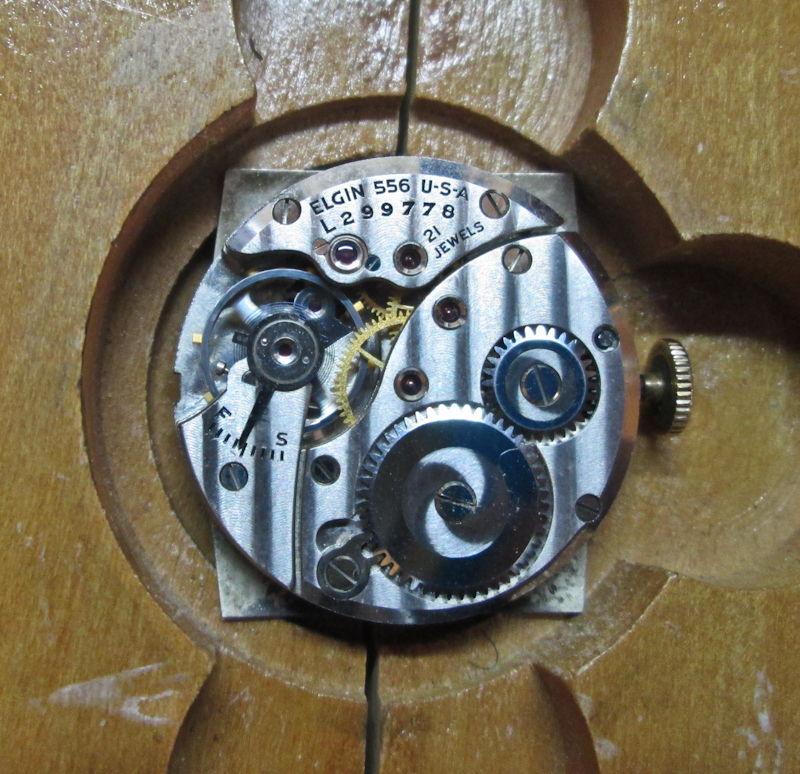 The movement is a 21 jewel 556 caliber movement — one of Elgin’s very reliable high jewel count movements. This watch is running well and keeping good time. 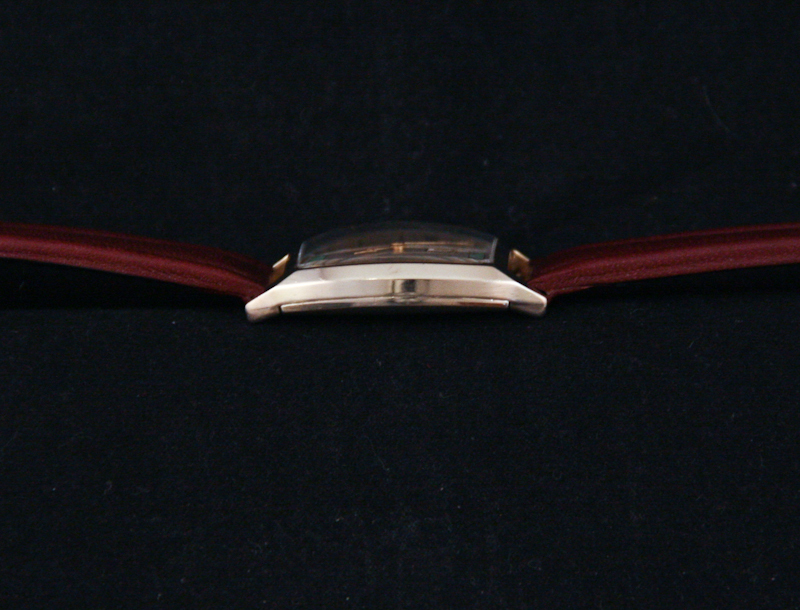 We’ve added to this watch a new Hirsch water resistant band, making this watch ready to wear.